The ABIS Knowledge Into Action Forum 2018 was held to answer the call from the business community to facilitate and provide best practices that contribute to sustainable development. The ABIS Forum discussed the United Nations’ Sustainable Development Goals (SDGs) and how companies can contribute to their achievement through new business models. ABIS is The Academy of Business in Society, a global network of over 100 companies and academic institutions whose expertise, commitment, and resources are leveraged to invest in a more sustainable future for business in society. 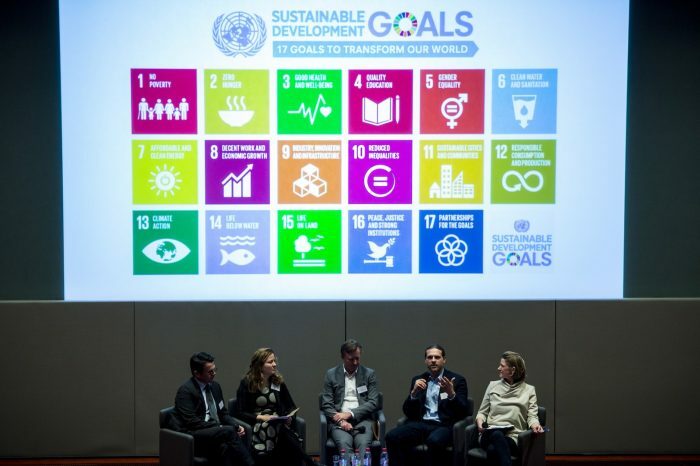 Dr. Florian Lüdeke-Freund, holder of the Chair for Corporate Sustainability at ESCP Europe’s campus in Berlin, was invited to discuss how companies can integrate the SDGs into their core businesses. In recent publications dealing with business models for sustainability, for example in Journal of Cleaner Production and Organization & Environment, Florian Lüdeke-Freund and his co-authors discuss the current status of this emerging field and describe opportunities for future research and practice, for example framed by the SDGs. Business opportunities and challenges as well as the role of academia were discussed in a lively panel debate, which also addressed the risk of “cherry picking” those SDGs that are most likely to be achieved with current business activities rather than engaging in real business model innovation and change for sustainability. The academic and business presentations were about new opportunities through the SDGs, the role of corporate social responsibility and corporate philanthropy, and recent trends such as the circular economy and the sharing economy.